A recent study funded by the Clorox company has debunked the popular "five-second rule" that many parents use as a standard for whether or not an item is still clean after falling on the ground. Researchers tested a carrot and a sippy cup on a variety of household surfaces and found that germs did attach to the items in just five seconds. Among the "germiest" surfaces in homes with kids are floors – both tiled and carpeted – as well as highchair trays. In a survey of 500 moms and dads across the country, 65 percent of parents admitted to following the five-second rule in their home. It also found that men are more likely than women to tell their spouses they had cleaned something when they really hadn’t – 25 percent of men compared to 14 percent of women. And, the survey found that 88 percent of parents think that dad is the dirtier parent. How can fathers "clean up" their reputation? 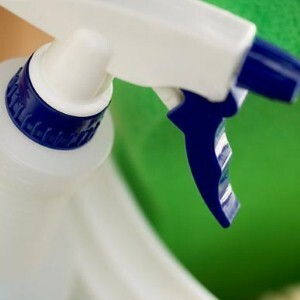 Experts say disinfecting surfaces with a bleach solution helps to disinfect them. Many parents rely on antibacterial wipes to make this job quicker and easier. Remember, kids love to help too!